Kids Shredding Singletrack is a weekly mountain bike skills clinic for 11 to 15 year old youth. 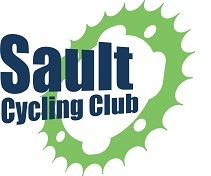 Sault Cycling Club ran their inaugural Kids Shredding Singletrack (KSS) sessions in June of this year. The response was so positive that we are going to do it again in September/October. We will have 6 weekly sessions, starting Tuesday September 11. The sessions will last approximately 90 minutes, depending on conditions (both trail and light conditions). A typical session will include a brief discussion and demonstration of a skill or technique, then the kids will be divided into groups to ride the Hiawatha trails. We will stop at features where they can practice and develop the night’s featured skills. The focus will be on fun, but there will also be some learning going on! The instructors/leaders include a mix of certified and non-certified riders. All are experienced mountain bikers who love the trails and teaching others about them. Our intent is to have at least one instructor/leader for every 6 participants. Of course, this will be contingent on the number of participants and the pool of volunteers. Parents are welcome to ride along and, depending on the number of participants, might be asked to perform a “sweeper” role, trailing one of the groups and assisting the instructor/leader as needed. Kids will need to be fit and motivated to ride between 6 and 10 km of single track trail in an outing. The focus will be on introducing the kids to fun and safe mountain biking. The environment will be non-competitive and kids won’t be pressured to try any skill outside their comfort zone. There is no plan to have uniforms, team fees, banquets, awards, etc. One of our volunteers is a photographer so we will try to provide a complimentary digital photos of each rider shredding single track and learning a sport they can enjoy for the rest of their lives. If you are interested in having your child participate, please complete the KSS Registration Form and send it to Peter@SaultCyclingClub.ca. On the first night your rider must bring the completed KSS Bike Check Form. Hey Where’s My Adventure Ride?! ?